Forbes magazine piles on the Houston accolades, Oprah Winfrey steps into the Houston/Dallas rivalry, and the Astros close in on a dubious milestone. 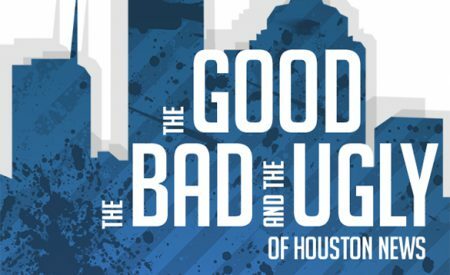 We turn to our panel of Houstonian non-experts to sort out the good, bad, and ugly in Greater Houston news of recent weeks. Our Good, Bad and Ugly panel was comprised of John Beddow, Operator of the Houston Business Journal, Joe Holley, Columnist and Editorial Writer for the Houston Chronicle and Wayne Ashley, author of The Texas Leftist blog.